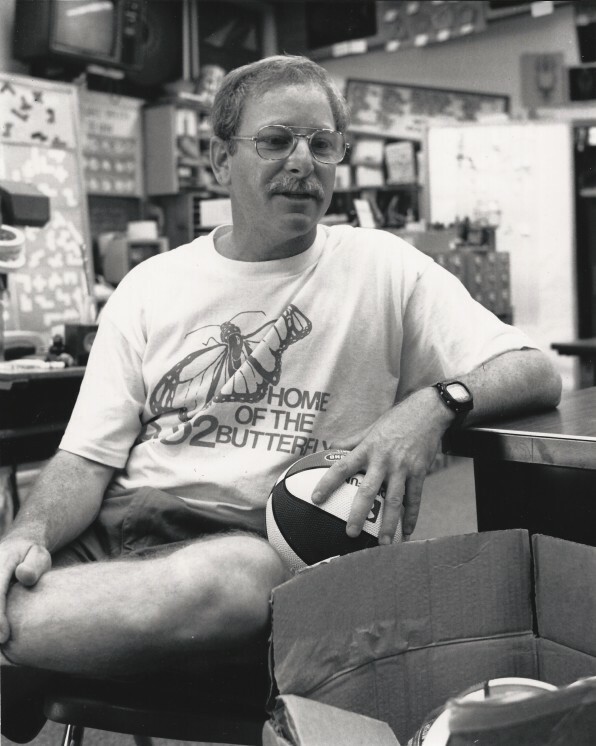 826 Valencia is thrilled that Mr. George Trubow, a six-grade science and physical education teacher, who has been instructing students at Borel Middle School in San Mateo for forty years, is our April Teacher of the Month! Mr. Trubow has wowed us with his creativity, dedication, and overwhelming success in getting students enthusiastic about science and PE. Mr. Trubow engages his pupils through a hands-on approach, providing them with a laboratory to conduct experiments. According to Borel principal John Cosmos, Mr. Trubow “teaches plate tectonics through an earthquake simulation activity, natural resources are examined through candle-making, and students study human ingenuity by creating their own inventions as part of the school’s invention fair.” It’s no wonder these projects are favorites among the students. Mr. Trubow brings a similar philosophy to teaching physical education, emphasizing sportsmanship, team-building, and cooperation over competition. This approach allows even students who may not be interested in athletics to feel like valuable assets to the group, no matter their skill level. Mr. Trubow is also an active presence outside of the classroom, having served the school and the wider community under a variety of titles including Co-Athletic Director, Fundraising Director for after-school sports, Cultural Fair Faculty Liaison, and committee member for eighth-grade graduation festivities, among others. Despite plans to retire, Mr. Trubow will maintain a strong presence at Borel in a support and volunteer role. The students at Borel Middle School are fortunate to have such a talented, passionate, and caring teacher. Congratulations again, Mr. Trubow, and keep up the great work! This entry was posted in 826 News, Featured and tagged Teacher of the Month.